A Historic Charmer in Sanfordâ€™s historic. 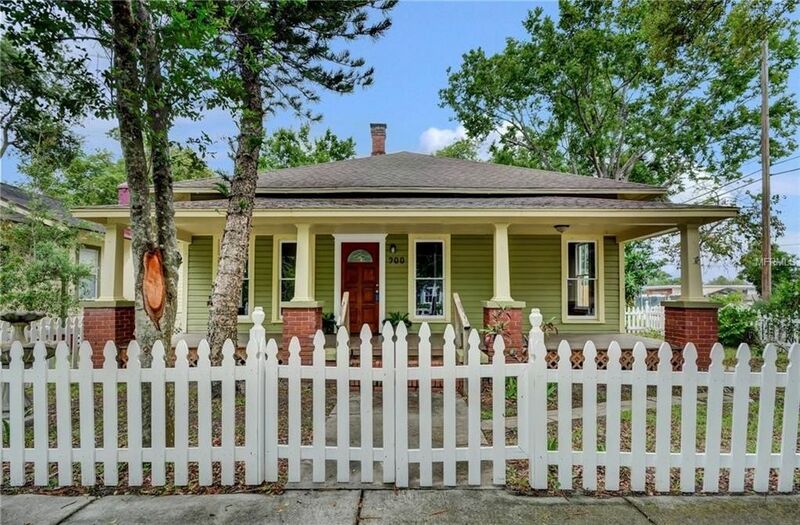 Step back in time in this beautiful 1920 Bungalow only blocks the heart of rejuvenated downtown, not far from restaurants, shops, the marina, the Sun Rail Station, the dog park and more. Sip your morning coffee front porch that runs the length of the house. Youâ€™ll enjoy this charming 3 bedroom 2 bath home with its original wood flooring, spiral staircase that leads to loft/bonus room perfect for a study/library or sitting room. The high ceilings enhance the feeling of space. Ceiling fans, updated bathrooms, freshly painted, new fence, alley in back has room to park or park in front. A MUST SEE!! Directions: From 17-92 and 9th Ave in Sanford, go east on 9th to Elm, house is on corner on the right.